The River Derwent flows for 35 miles, from Blanchland in County Durham to Derwenthaugh, where it enters the Tyne. The origin of the name of the river is from the Celtic word derw, meaning oak and -went, a suffix meaning river valley. At one time, Gibside estate boasted vast ancient oak forests which caused one visitor to exclaim that she expected to meet wolves! The loss of those forests can largely be blamed on Stoney Bowes, who had them felled and tried to sell the timber. The rich natural resources of the lower Derwent Valley made it an ideal area for developing industries, and the advent of Ambrose Crowley and his ironworks in 1691, probably sponsored by Sir William Bowes, marked the beginning of the industrial revolution in the area. 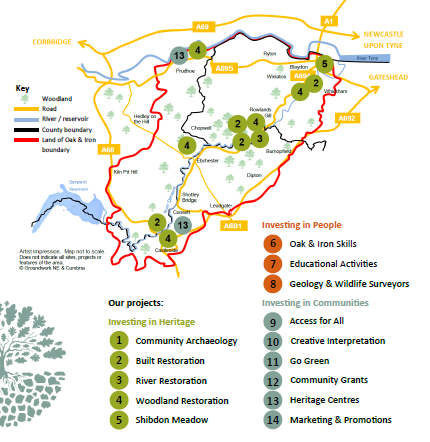 Click on the logo to read all about the exciting developments which aim to conserve and celebrate our heritage. It seems to me that oak and iron are perfect metaphors for the people of this area. In My Name is Eleanor, George Bowes wishes for his daughter 'a heart of oak and a will of iron'. I'm now engaged in researching for the follow-up novel. 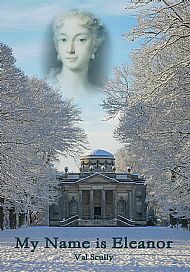 Originally, my intention was to tell the story of Gibside in the nineteenth century and the creation of the Bowes Museum by Eleanor's grandson, John Bowes. The estate workers, miners, farmers and tenants play a vital role in My Name is Eleanor, and it was always important to me to portray the lives of the people on whose efforts these great estates were built. It soon became clear that what was going on in the Land of Oak and Iron in the C19th was far too fascinating to be kept in the background. 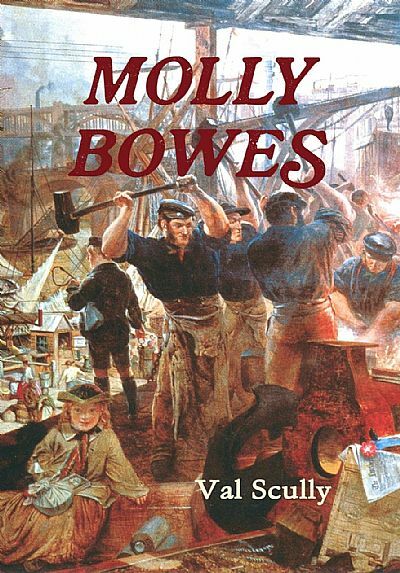 Because my heroine, Molly Bowes, is almost entirely fictional, I was able to have her involved in the Peterloo Massacre before she comes to the north-east in search of what she thinks is her inheritance. In the wake of Peterloo, there was a large demonstration on the Town Moor: Crowley's Crew were there. 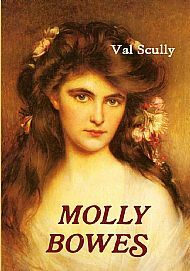 Joseph Cowen senior was a member of Crowley's Crew, and Molly is destined to become entangled in the radical activities of his son, the Blaydon Brick. To read about the fascinating history of Blaydon and Winlaton, please click here.